Marmalade Springs is a boutique resort situated near the 2nd highest peak of Wayanad - Chembara Peak. Marmalade Springs Wayanad Treehouse is in a 100 acre coffee plantation with cottages built fully in natural timber blending perfectly with nature.The resort has its own cave called the Dorai Cave, natural ponds and a stream flowing between the cottages. The main attraction of the resort is its Rock house and Tree house, which is one of its kind and has excellent view of the swimming pool. 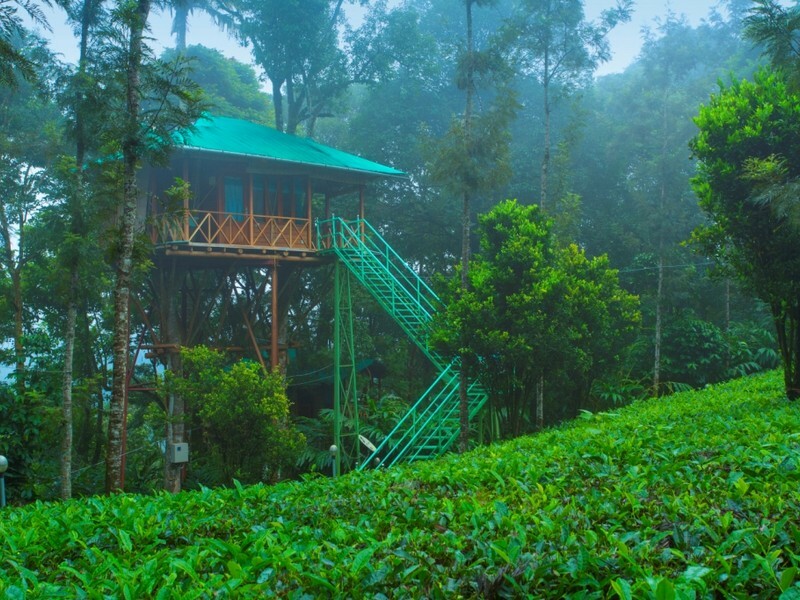 Waynad by itself is a beautiful destination in Kerala and marmalade springs adds to it. Marmalade Sprngs had a unique vision in mind- An eco-tourism, nature based destination, that would preserve and project Wayanad's paradisiacal serene hill tops and its tribal traditions with the ultimate aim of providing a luxurious escapade into nature. The resort 7 different types of accommodation and a total of 12 rooms . They are superior rooms (2 no.s) , Family room '4 people' two bunker beds ( 1no. ),2 cottages , 4 wooden cottages, 1 pillar house , 1 rock house and a tree house. Our representative will receive you at the any of the airports near Vythiri like Kochi, Calicut , Mangalore or Bangalore and we will proceed to Marmalade Springs Wayanad Treehouse in a chauffeur driven vehicle. Sightseeing on the way.Once you reach Marmalade Springs Resort park your vehicle at the bottom of the hill and proceed for the stay in Treehouse to enjoy Marmalade Springs Wayanad Treehouse Package in a Jeep .Nuts Rises at the Mutil Peak, Kalpetta: A good spot to be where the fragrance of coffee is not only in your coffee mug but all around in the coffee plantations. 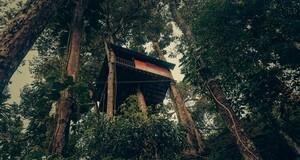 The resort offers excellent food and friendly staff and a good evening of rest in the treehouse. The treehouse is wonderfully designed and carefully designed to perfection. 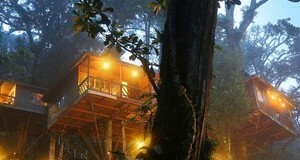 Overnight Stay at the Treehouse in the resort with bonfire if the weather permits. Enjoy the morning at your leisure and checkout of the Marmalade Springs Wayanad Treehouse after breakfast. We will pick you up for your return journey. Buying Spices and Shopping on the way. Depending on your flight timings, visit the sightseeing attractions on the way. Accommodation in the mentioned hotels in the mentioned room category with breakfast and dinner.